Thank you for joining us at last night's Annual Meeting! Dan Weitz is the Deputy Director of the Division of Court Operations and Statewide Coordinator of the Office of Alternative Dispute Resolution and Court Improvement Programs for the New York State Unified Court System. 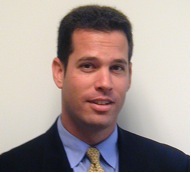 Mr. Weitz is also an Adjunct Clinical Professor at Cardozo School of Law and New York University School of Law.